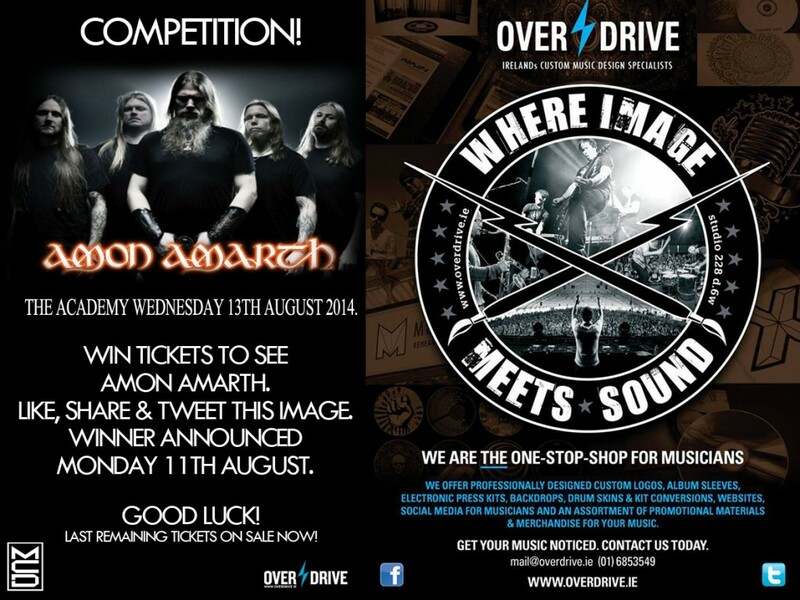 Bloodstock announce signing tent and launch festival app! Your chance to meet the Bloodstock bands at this years Bloodstock is now a reality, as festival organisers announce signing tent. All this plus information about the essential Bloodstock Phone App! It’s BLOODSTOCK week and the site build is almost done! Exciting times at Catton Park! This year, if you’re coming along, download the BLOODSTOCK app from the iTunes or Play Store, which’ll give you all the band stage times, travel info and other useful facts about BLOODSTOCK. Pick it up and start planning your weekend! As in year’s prior, many of the bands on the bill are stopping by for a stint in the signing tent to scribble for the BLOODSTOCK faithful – even the Friday night headliners, the mighty DOWN! Check out the schedule below and plan your day to accommodate your chance to meet your favourites. Come join the line and say hello! All times and artists are subject to change and amendment, pending travel delays and acts of the (Hob)goblin. Be sure to stop by the tent for the very latest info each day!! Due to horribly tight travel schedules and limited time on the festival site, there are a handful of bands who are regrettably unable to sign in the signing tent this year. While we have your attention, did you pick up your shuttle tickets to site yet? If you’re arriving by mainline train to Lichfield City rail station and need a ride onward to the festival grounds with all your gear, you can book a shuttle ticket with Big Green Coach to get you from the station to festival turf from just £7 per person one way, or £10 return. Much cheaper than a cab! Go get ‘em at http://www.biggreencoach.co.uk/bloodstock. 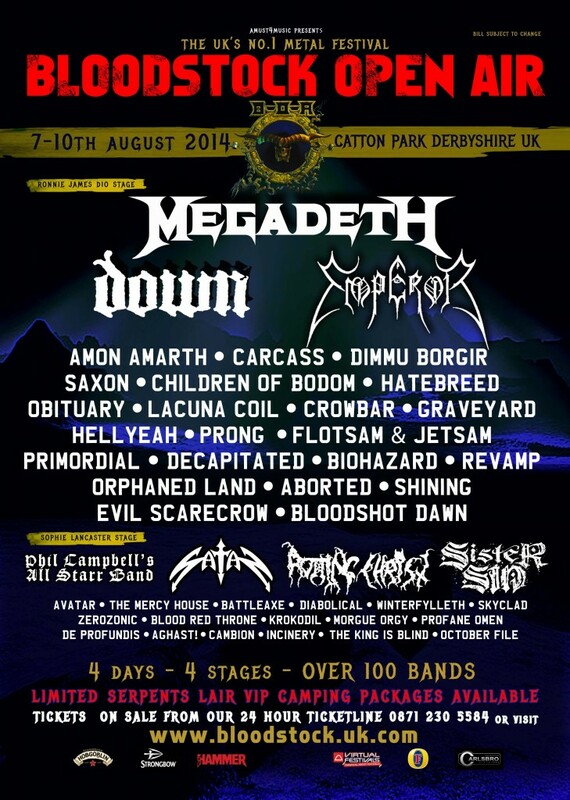 BLOODSTOCK is held at Catton Park, Derbyshire on 7th-10th August 2014. Keep up to date with the very latest info on BLOODSTOCK’s official sites at www.facebook.com/bloodstock and www.bloodstock.uk.com.